Become the Relentless Dragon Store Champion and win awesome prizes. 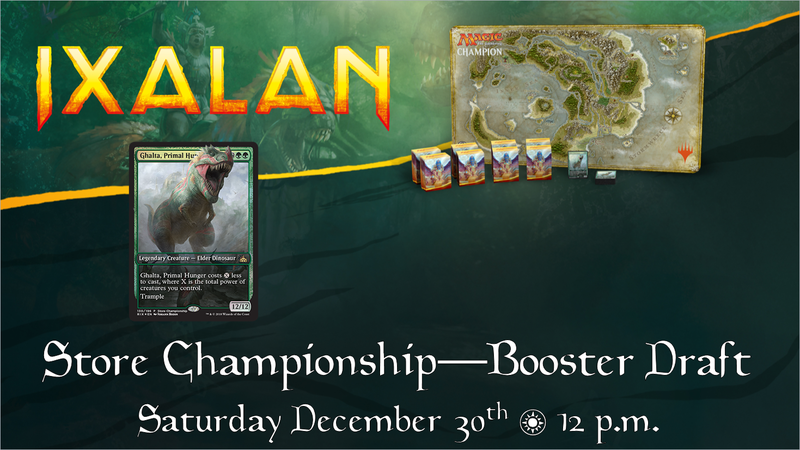 The top player will not only take the title of Store Champion for the next year, but will also get a sweet playmat featuring a full map of Ixalan. The top 8 players will all receive an exclusive deck box, and all participants will receive a full art promo card, while supplies last. The cost to enter is $15 and includes the 3 packs for drafting as well as additional prize support. Registration begins at 11 a.m. and the event begins at noon.